Best Photo Retrieval Software, recovering pictures in 3 Steps! Photo Retrieval Pro is professional photo retrieval software that helps to retrieve your memorable photos, anniversary pictures, birthday snaps and other precious images from different types of digital storage devices. This tool is designed for both Windows and MAC to get back all lost pictures from hard drives and different removable mass storage devices. With Photo Retrieval Pro, you can retrieve your lost photos with ease. 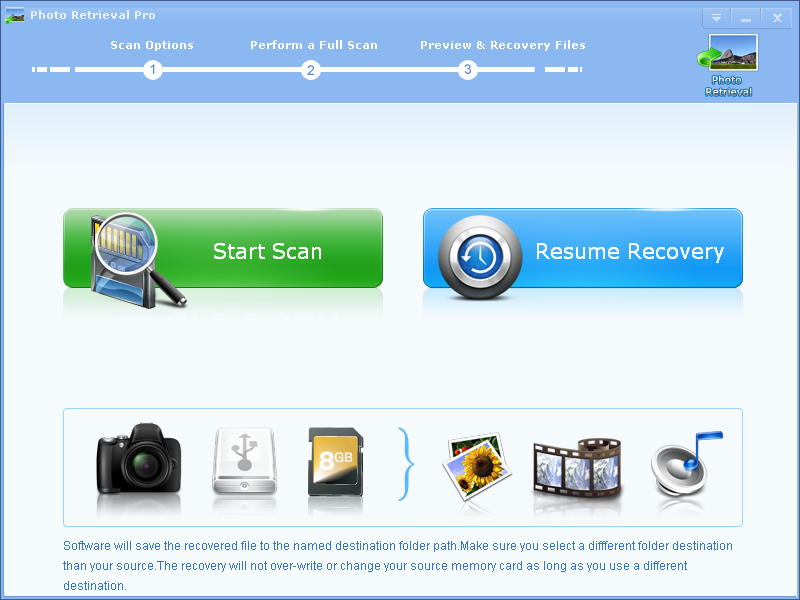 Photo Retrieval Pro is powerful digital picture recovery software for computer users that can retrieve lost, deleted or formatted photos, pictures, images, audio, and video files from various digital cameras, memory card, computer drives and other storage media devices. 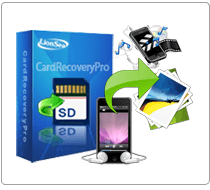 Photo Retrieval Pro is an amazing tool for professional photographers and home users for all your digital photographs, image files, videos and graphics recovery needs. With Photo Retrieval Pro, people can retrieve formatted photos and recover deleted photos from PC hard drive, digital cameras, USB drives, flash memory cards including Compact Flash Card (CF), Smart Media Card, Secure Digital Card (SD), Multi-Media Card (MMC), XD Picture Card (XD), Micro Drive, Sony Memory Stick (Duo, Pro), as well as removable storage including Zip disk, iPods, USB drives and external Hard drives. Moreover, this software performs distinguished features in retrieving photos. The software can recover all picture formats including BMP, JPEG, GIF, TIFF, Mamiya (MOS, MEF), Paint Shop, Picture File (PCT) and Pro Image File (PSP). The video format which Photo Retrieval Pro can support contains AVI, MP4, MPEG, 3GP, AVCHD Video File (MTS), Matroska Video File (MKV), MOI Video File, Divx Encoded Movie File (DIVX), Video Object File (VOB), OGG Media Player (OGM), ASX, 3G2. Moreover, the new version of this software can support nearly all famous digital camera brands in the market, such as Nikon, Canon, Kodak, FujiFilm, Casio, Olympus, Sony, SamSung, Panasonic, Fuji, Konica-Minolta, HP, Agfa, NEC, Imation, Sanyo, Epson, IBM, Goldstar, LG, SHARP, Lexar, Mitsubishi, Kyocera, JVC, Leica, Phillips, Toshiba, SanDisk, Chinon, Ricoh, Hitachi, Pentax, Kinon, Verbatim, Vivitar, Yashica, Argus, Lumix, Polaroid and Sigma. * Photo Retrieval Pro will undelete all type of photos from your SD card or disk.